13 Feb Is it time to sell your Australian Bank shares? The final release of the Royal Commission last week was a relatively good result for Australian Banks and their share prices rose appropriately after it, however, going forward there could be some significant headwinds ahead for our financial sector. If the Labor party win the election, which seems likely if you trust the polls, it’s proposed policies might well hurt the banks. The big one is franking credits. In 2001 the Howard-Costello government gave cash rebates to people and superannuation funds for franking credits on shares if they had little or no taxable income to deduct the credits against. This change made fully franked dividends very popular. Especially amongst retirees. Labor has said it will abolish these cash refunds for surplus franking credits from 1 July 2019. That will make banking shares a lot less attractive. That same Howard-Costello also brought in the capital gains tax concession which halves the amount of capital gains tax people have to pay. The wealthy got to move income which is taxed at 50% into capital gains taxed at 25%. That made real estate investing popular. Labor also want to unwind this. Why does that impact the banks? Because bank earnings are heavily reliant on lending to the real estate sector, and we are already seeing evidence of just how reliant in recent results. CBA announced earnings last week and its first-half profit has fallen 2.1% with the bank blaming the slowing property market. Anyone living in a capital city can attest to the amount of large scale development occurring. All these properties get sold off-the-plan reducing the pool of possible further real estate investors. Compounding the problem is investors nervous about the future. Many are already in negative equity on purchases yet to settle. The unknown effects of a slowing market and a labor government election is keeping investors at bay, which becomes a self-fulfilling prophecy as the lack of buyers leads to further price reductions etc. The value of housing finance is already on a downward run. With no positive news on the horizon, and with the possibility of more negatives to come, the situation is looking rather bleak. If bank earnings head backwards, you can expect the share price to follow them down, making it difficult for an Australian investor in 2019. The two big markets are traditionally real estate and banking shares, but these two are highly linked and so a fall in housing leads to a fall in bank earnings, swiftly followed by share prices. You might think you are safe in an Australian share index investment, but due to market cap weighting, this might not be the case. 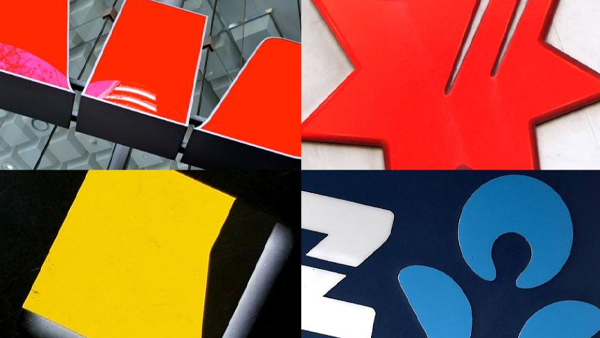 Our big 4 banks represent close to 30% of the ASX200 index. It will be hard for this index to hold steady if the banks head backwards. The answer is simple. Look outside Australia and buy something that isn’t exposed to the Australian housing market. You could consider an investment in Amazon, listed on the Nasdaq. Everyone knows this company but what most don’t know is that Amazon is now aggressively moving into digital advertising, a space normally dominated by Google and Facebook. As a higher margin product with great economies of scale, this is how Amazon plans to leverage its position as the world’s premier online retailer. Amazon’s own website has the fourth highest levels of web traffic in the United States and is the tenth most visited website in the world. Advertising here alone could add huge dollars to an already massively lucrative business. So ask yourself the question – should you continue to hold Australian bank shares when the future of their earnings is looking dismal, or would you prefer to own a company that transforms industries, has global reach and a growing revenue source. It’s easier than you think. Join the global investing family at Capital 19 and we’ll make it happen for you.